The objective of this study was to compare the prevalence of musculoskeletal complaints and rheumatic disorders in Caucasians and Turks in an identical environment. Subjects were selected randomly for an interview from Tehran’s 22 districts. The Community Oriented Program for Control of Rheumatic Diseases questionnaire was filled in, positive cases were examined, and if needed, laboratory or X-ray tests were performed. A total of 4,096 houses were visited, and 10,291 persons were interviewed. They were 71.4% Caucasians and 23.1% Turks with similar distribution of age and gender. Musculoskeletal complaints of the past 7 days were detected in 40.8% of Caucasians and 45.5% of Turks (p < 0.001). In Caucasians, the total of musculoskeletal complaints in men was 33.8% (95% CI, 31.4–36.2%) versus 48.3% in women (95% CI, 45.7–50.8%). In Turks, the total of musculoskeletal complaints in men was 36.6% (95% CI, 32.2–41.1%) versus 55.8% in women (95% CI, 55.8–60.6%). The data of Caucasians versus Turks were as follows: knee pain 20.2% (95% CI, 18.2–22.1) versus 24.1% (95% CI, 20.5–27.6), with p < 0.001; dorso-lumbar spine pain 15.1% (95% CI, 13.6–16.6) versus 18.4% (95% CI, 15.1–21.8), with p < 0.001; shoulder pain 10.7% (95% CI, 9.4–11.9) versus 12.3% (95% CI, 9.7–14.8), with p = 0.025; osteoarthritis 14.1% (95% CI, 12.8–15.2) versus 16.4% (95% CI, 14.3–18.6), p = 0.04; and knee osteoarthritis 12.3% (95% CI, 11.8–14.1) versus 15.3% (95% CI, 13.3–17.4), with p < 0.001). 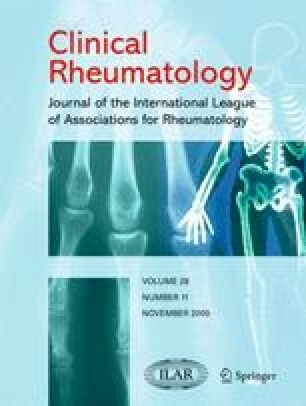 There were no significant differences regarding the prevalence of soft tissue rheumatism, rheumatoid arthritis, ankylosing spondylitis, Behcet’s disease, fibromyalgia, and gout. Although musculoskeletal complaints were more frequent in Turks than in Caucasians, the prevalence of rheumatic disorders was rather similar except for knee osteoarthritis. This research was supported by Tehran University for Medical Sciences & Health Services grant no. 130/8976. Special thanks are given to Dr Sadredini, Dr Aghajankhah, Dr Sharif, Dr Zabihi, and Dr Mirfeyzi for their help to field rheumatologists for the physical examination. We also thank all of the team chiefs, interviewers, lab technicians, and supervisors who accompanied us in all stages of the study. We thank Dr John Darmawan who kindly provided and helped us in designing the study and CCQ preparation.